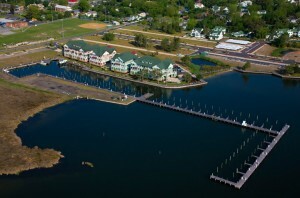 The Marshes Light marina provides a comfortable home port for boating enthusiasts. The protected, deep water facility on Shallowbag Bay in Manteo NC includes slips up to 60’ in length and has laundry and shower facilities. Owners of a “dockominium”, or boat slip owners, are members of both the Marshes Light Master Association and the Slip Owners Association. Enjoy living in a community with your private boat slip just outside the back door.